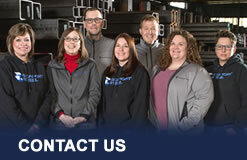 Seaport Steel proudly owns and operates a fleet of 12 semi-trucks, 30 trailers and two flat-bed trucks. We are continuously reinvesting in fleet assets. All vehicles are operated by Seaport employees who are a key part of our commitment to customer service. The regional fleet serves all of Washington, Central Oregon, N. Idaho and Western Montana. 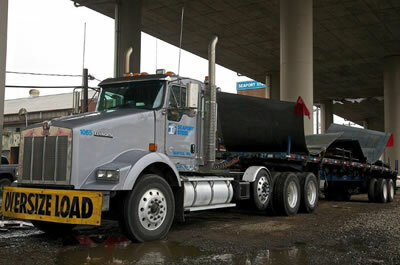 Our wide range of trailers from 30’ to 53’ long creates flexibility to deliver to any job site or facility. We serve many customers outside this immediate area by facilitating deliveries through third party providers to the Pacific Rim including Alaska, British Columbia, Oregon and California.